This project we finally started into video game level design, specifically we had to create a maze level for a 2D game. The catch? The game has bad controls and collision, which made this quite challenging. So I spent some time and made my map, initially just tracing the path I wanted on top of a pure dirt terrain to get a feel for the path. This helped me a lot in creating that maze effect and feel, so then I just went over and created the foreground and put it into the engine. Then I also added a bit more variety to the background as well, trying to make it less monotone. So I tested my game and… well, the bad controls and collision made movement almost impossible. However, I did actually manage to both complete it and traverse the whole map, so I told myself “if I can go through the entire map, even if not with much ease, then it is still playable”. However I soon found out when others tested my map that they did not find the same trick as myself to playing the level. The length of the game was good. Unfortunately only 6 people actually played my game, even though I played every game in the room. Those people just stood by their game because they did not have something set up on the 2nd screen. Anyway, people seemed to enjoy it. They clearly felt like they were in a maze, coins lead them into the right direction, whilst not giving them the straight answer, it was easy and not too short of a level. I made the path too thin. Yes, the level is beatable, since I got to do it, but that is only because I discovered a trick to make movement possible. So, definitely make them at least 2 tiles wide next time, give the players some wiggle room. The environment felt… dull. Granted, the tools we were given to make the map (a Photoshop document with very bad action commands which make creating even a small level like mine extremely tedious and time consuming) I just went with a fence and dirt and occasionally added some other elements in the map with grass outside the perimeter. There were a lot of coins in the game, sometimes it led you to the wrong area which is kind of annoying sometimes. Since you have to backtrack. Obviously, the main problem was the path. Too small, being only 1 tile wide, something that I quickly realized myself as I play everybody else’s levels. The goal problem is something that I don’t understand though. I assume it is a graphical glitch, which, in a way, is not totally in my power to fix. The thing about the coins is that they are supposed to lead to dead ends. It is supposed to be a maze, Nick! Have you even seen a maze before? Here is a child’s maze, look at it and tell me if it is just a straight line with only one or two dead ends. Notice how, even in this extremely simple maze (I mean, it is easy, right?) it has many dead ends. It is what makes it a maze, remove dead ends and all you have is a path. So those who criticize it having too many dead ends or telling me it needs less, to tell I politely tell them “no, go search on Google for child maze”. Passive aggressiveness over, you can actually find the maze above at https://www.allkidsnetwork.com/mazes/ I actually think this website is a good inspiration for easy level mazes. How can the map be improved? Personally, I feel like all it needs is for the paths to be larger, maybe add in a few secret areas as well, though I don’t enjoy secret passages if it means telling the player “Do you remember all those fences you couldn’t go through on the way here? Well here is a fence you CAN go through”. Yes, it is supposed to be a secret, but I feel like I am betraying the players trust, by confusing them with what they can or can not collide with. You could increase the amount of area the character can walk. Since the blockers take up an entire square you could extend path ways to 2, so that it’s slightly easier to walk. Right now it’s just moving up right up right up right. As expected, the majority would agree that the paths need to be larger. By “less objects” I assume they mean less coins, but those are there more for the completionists than for players who just want to finish a level. I don’t understand the “continuing after the end maze” means. There are branching paths next to the goal, so I assume that is what he means, to which I guess I could just extend the ending to where you can’t see any other paths. Lastly, I did hint in a way where the exit is, hence some people thinking I did a good job using coins to achieve that. At the same time, this is a maze. In real life and every video game with a maze there is never, ever anything that leads you to the exist, nor do they ever even hint you to where it might be, so I feel like I was quite generous putting coins that lead to it in the first place. 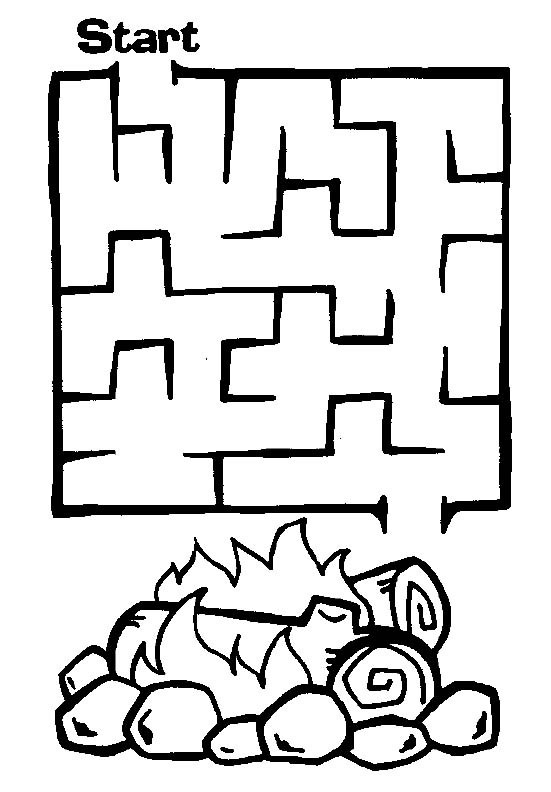 You are supposed to feel lost, that is what mazes are for! At this point I feel like a broken record. People complaining it was to difficult for a first level and that it ran around aimlessly clearly don’t know what a maze is… You are not supposed to know where the end is, that is not the objective of a maze. There is no formula you can apply or rule to get to the end of a maze (although they do say to stick to the right side). In a way, I feel like this question was useless as it is irrelevant to a maze level. Maybe if this were a game where you need to go a certain path to progress, sure, but when the whole game revolves around you wandering, trying to find the end feels pointless when you know the direction. It’s like someone is giving you a puzzles with instructions on how to finish it and all you have to do is follow the steps. Not very interesting, or challenging or much of a game at all. Mixed responses on the flow. Feels like it is 50/50 and maybe the path being too short took away from it. All 6 of them said that the theme was evident. Lastly, 5 of the testers agreed that the level was easy, with the 6th one claiming it was not. Overall, I think the level went great. Too bad it is extremely tedious to create the level. If only we had better tools and a better game. Oh well, I guess that is the world we live in, one where all games have bad controls and collisions. I am still waiting for someone to invent a way to make these better. Alas, this be only a dream this dying knight has.